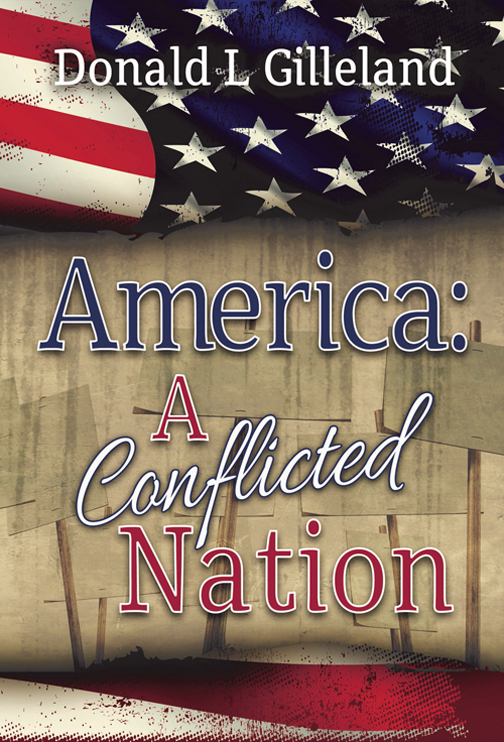 Donald L. Gilleland's fourth book, America: A Conflicted Nation, was published on May 26, 2016. It is available on the Internet at Amazon.com, BarnesandNoble.com and BooksaMillion.com. They list it at $16.95, plus shipping and handling, which adds about another $4.00 bringing the price closer to $21.00. For those of you who live in or near Melbourne, FL you can purchase a signed copy directly from him for a discounted price of $15.00. Out of town friends should add $4.00 for postage. He can be reached at dgill000@aol.com. 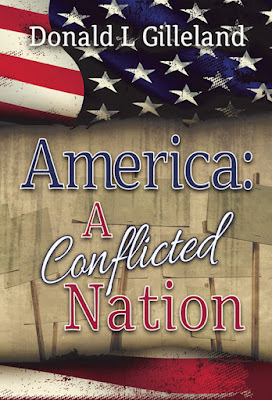 America: A Conflicted Nation is a discussion of issues about which Americans have mixed feelings, holding positive and negative opinions about something at the same time and being unable to shake off the uncomfortable feeling that produces. For instance, we are conflicted about immigration and our military. While we are enormously proud of our immigrant history, we are fearful of letting in new immigrants because of the potential for having terrorists among them. Also, while we all agree we need to have a strong, world class military, we often don’t agree on how much of our national treasure should be invested in it. Many Americans feel conflicted about our nation’s role in the world, as well as how we address national issues that affect our own residents. America is truly an extraordinary country; but there are many things that leave us feeling uneasy and this book discusses why that is so and how we can still feel good about our country. Check out all of his books at www.donaldgilleland.com.